Do you have misaligned doors and windows? Misaligned doors and windows not only look unattractive, but they are also an everyday nuisance. Because they often get stuck, they require much effort to open and close. Homeowners in Iowa and Nebraska often assume that humidity causes misalignment, so they try to repair the problem themselves. Other homeowners try to cut the wood off the doors and smooth down the window sills. Unfortunately, these are temporary solutions that don't address the real issue which is foundation settlement. To repair your misaligned doors and windows, hire a professional. 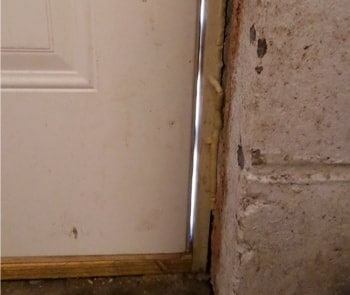 At Jerry's Waterproofing, we can find out what's causing your sticking doors and windows before it leads to other structural issues. 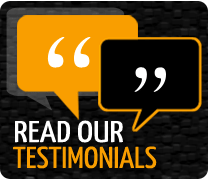 We are the foundation repair specialists, serving Iowa and Nebraska. 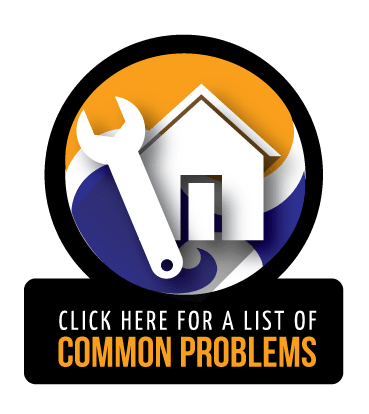 If you see any of these symptoms accompanied by misaligned windows and doors, give us a call. Don't wait to make repairs. The situation will only get worse over time. To repair misaligned doors and windows, we can install helical piers. 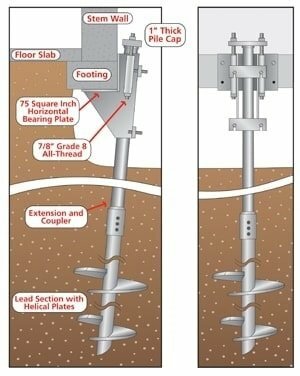 Helical piers are screwed deep into stable soil to support the foundation. A torque anchor bracket connects to the pier. It helps close the gap around the windows and doors. Another foundation repair product is steel piers. Steel piers are driven into the ground to stabilize and support the foundation. After they are installed, the structure's weight is transferred onto the piers. This lifts the home back to its normal position. Both piers are beneficial because they are permanent solutions to foundation problems. These solutions are the latest technology, giving your home the security it needs. Our products will help restore your home to increase the resale value of your home and prevent future foundation issues. They are made by Earth Contact Products, the top name in foundation repair and underpinning products. Contact Jerry's Waterproofing today for quality, professional service in Iowa and Nebraska. We provide free estimates, so call us today.